Hey everyone, and a MERRY CHRISTMAS to you all. 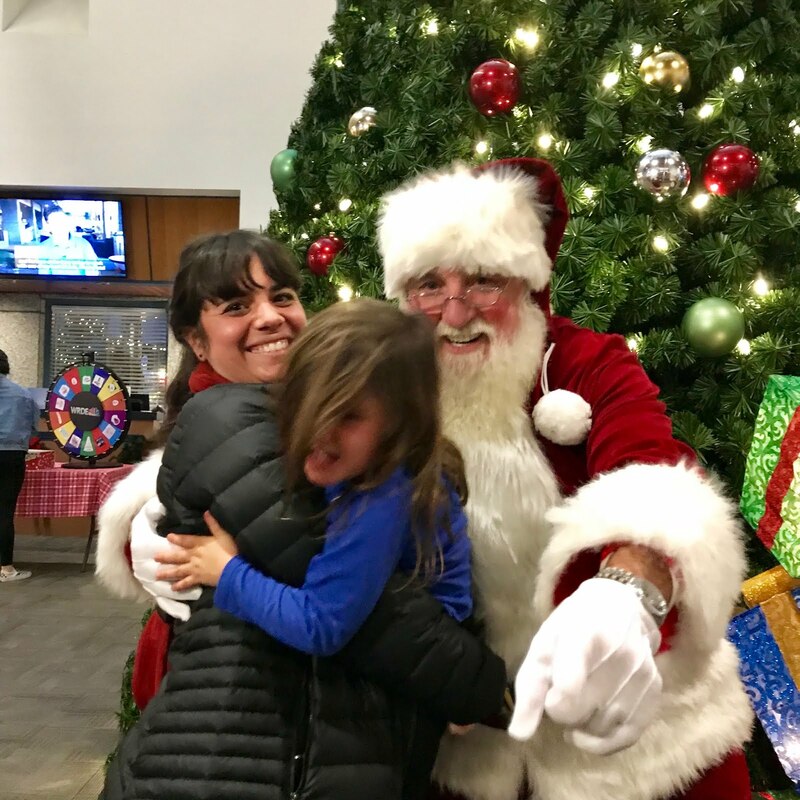 Can you tell how much my daughter LOVES Santa Claus? It may not seem like it, but this is a MAJOR improvement over last year. It's been a little while, and I wanted to give you all a little update, along with a killer cookie recipe! We are all doing well in my home, and have been taking things a bit slower this school year. The focus has been on self and family, and I guess you could say we've been hunkering down. You know what I noticed? I was so busy last year. Too busy. In fact, I was using busy to run from the hush that happens when you slow down and feel your emotions. A lot of us do that dull out the pain, but you know what also happens (besides it doesn't freaking work?) You dull out the joy too. And if it's one thing I LOVE it's JOY! I have been taking my time to experience some real moments of inner quiet and joy, and it's got me back to the simple things in life that I relish. LIKE COOKING! I know...I haven't posted a recipe in a hot minute. But that doesn't mean I haven't been in my kitchen. I have! 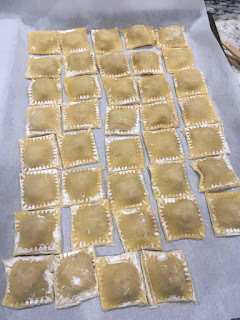 In fact, for Christmas Eve, my mom and I made ravioli together, 210 of those hand filled and rolled little suckers! I am already drooling thinking about eating them...and if you're interested, you can find my posted ravioli recipes HERE and HERE. 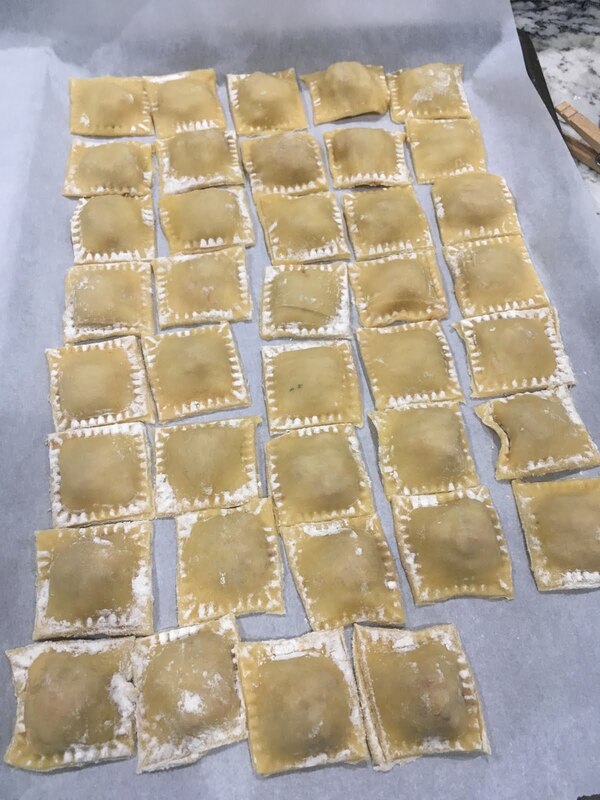 This time around, we filled our ravioli with meat and mushrooms. I always think of grandma when I make them because it was the last meal I ever made her, and a sweet shared memory for my mom and me. I have also been baking a gosh-darn storm of cookies! 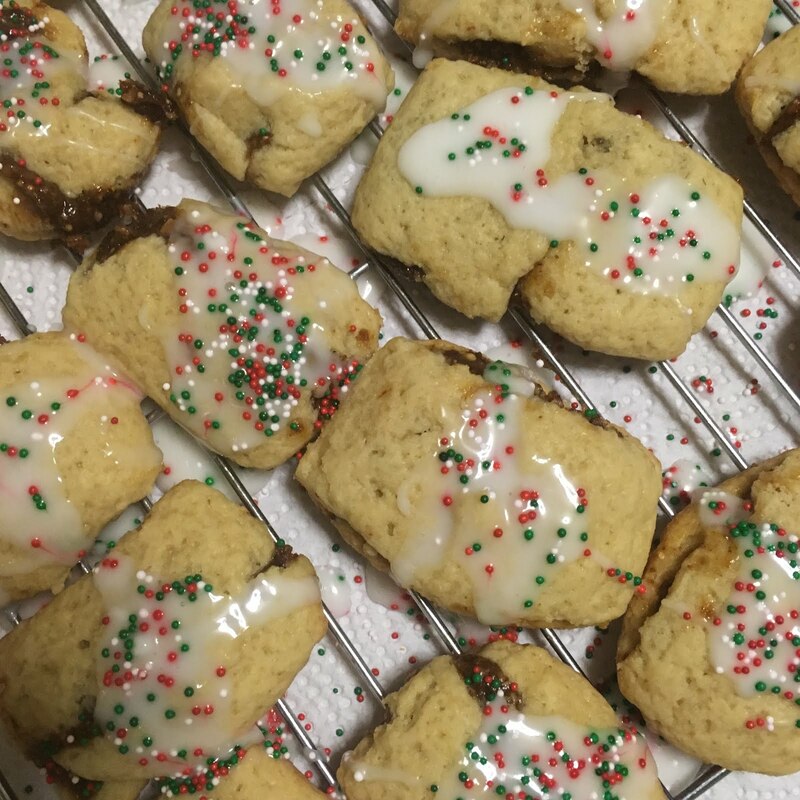 Since sharing is caring, I wanted to share with you all a recipe for my family's fig cookies, called Cucidatis. My Uncle David is the cookie master in our family, but I am also becoming a good baker. I took the base of his recipe and tweaked it for my own purposes. I hope you enjoy it! In a mixer, cream sugar and shortening together. Add eggs, vanilla, and salt. Add the baking powder and then half the flour, slowly, so you don't throw flour around your entire living space. Mix in the remaining flour by hand. Add the milk in and continue to mix by hand. If you find the dough unworkable, or too dry, add splashes of milk until it gets there. Place your prepared dough in the refrigerator to chill at least a couple of hours, but up to overnight. For filling: Using a food processor, add all of your filling ingredients (except water). Blend. Add water as needed to reach a nice consistency that is somewhat like jam. Bake in your preheated oven for about 15 minutes and then remove to a cooling rack. Once cooled, you can ice them, if desired, and top with sprinkles. Also notable, these cookies freeze really well!! !